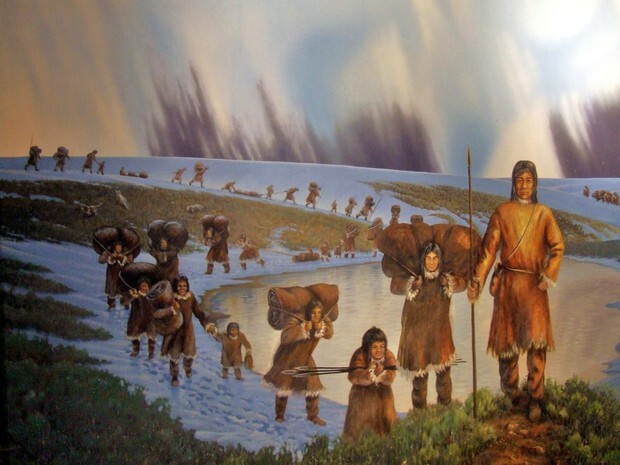 The Native Americans were living in the New World long before any of the explorers came. The other explorers just pushed past these people, not acknowledging that there were already people living there. They aren't remembered as well because they didn't have an interesting way of getting to America, and so people did not seem to care that they were there and living of the land that their ancestors found. The Native Americans are the ones who discovered America, they explored it, they lived in it long before anyone else came. 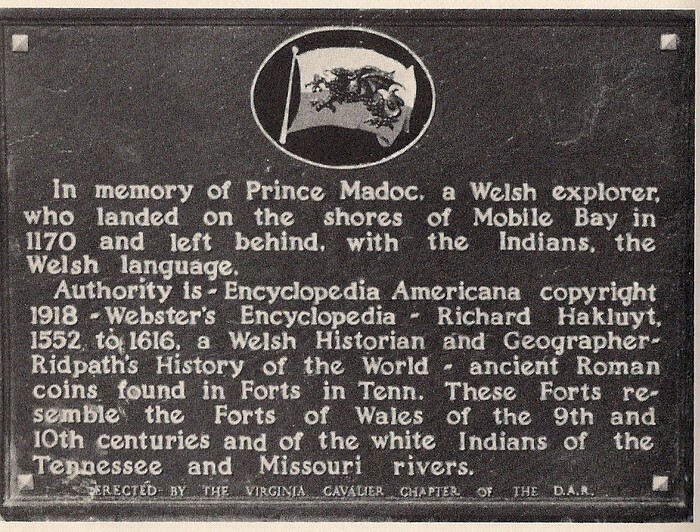 Prince Madoc of Wales deserves only little credit for discovering America, if any. He left his home country because of fighting in his family, and came to the New World to the gulf of Mexico, and then up the Mississippi River, and he finally ended up in Louisville. He created a colony, and it lasted for about 100 years. It ended because of conflicts between the Indians. As you can see, there were conflicts between the Indians and the Prince, as the Indians were already there, and that means that he did not discover America. Yes, he created a colony but he didn't discover it because the Indians were already there. Hoei-Shin traveled to the New World in the year 452 AD, but when he got there, he'd discovered that there were already people there, so instead of attacking and or creating a colony, he decided to study the Natives, and he wrote a diary about what he saw. So, although Hoei-Shin traveled to what he called Fusang, he did not discover it simply because people were already there. 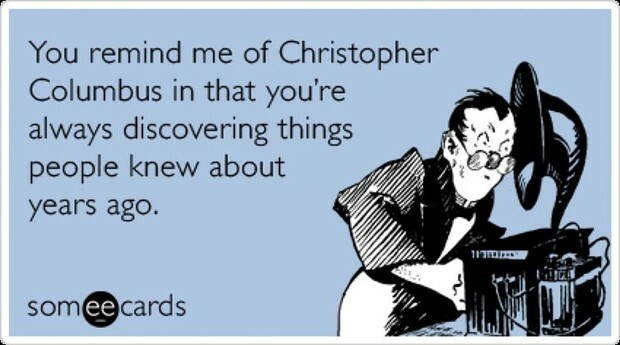 He deserves credit for exploring the cultures, but not for discovering America. 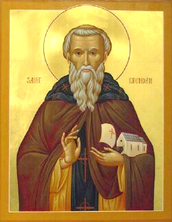 Brendan the Bold was an Irish monk who'd traveled to America in a small boat made of wood framing and animal skins called a currach. He set off on a dangerous journey 1,000 years before Columbus came to America. He became more educated, and eventually created a bigger currach that could hold more people and traveled back to to the New World. He proved that he traveled to America in book that he'd written about his epic travels. His book was proven by a man in the 70's by the name of Tim Severin, of whom traveled by following the book, and all of it was true. Although he wrote a book, there are no artifacts found that can link him to America, and not only that, but there were already people living in the new world, the Native Americans, so that means that no, Brendan the bold may have written a book about his travels, but he did not discover America. Bjarni Herjolfssun was a Norse Trader of which meant that he brought goods from Iceland to Norway. In his story, he found the New World by accident, as he was going to see his father, a strong storm led his ship to America. Although he could stop to explore, he was desperate to see his father and did not step foot on land. Since he did not stop, he was ridiculed for not following the viking law. 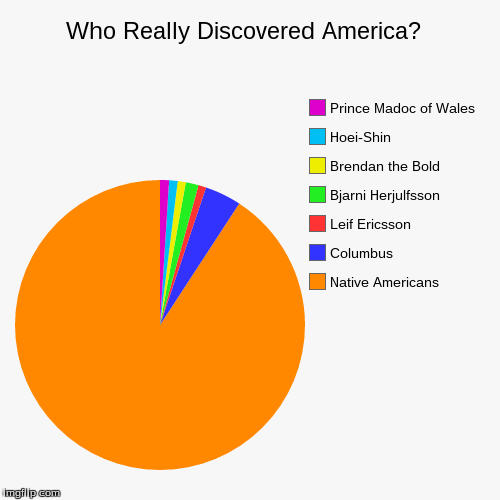 Bjarni Herjolfssun does not deserve full credit for discovering America, he may deserve credit for seeing it and giving all of his information and knowledge to Leif Ericsson, but not for finding it. 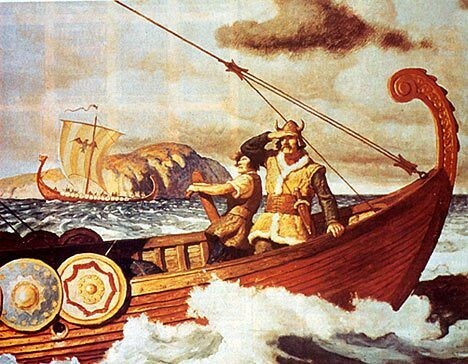 Leif Ericsson was the son of the famous Eric the Red ( of whom was a vicious viking who founded multiple settlements). Ericsson decided to travel to the new world after he'd heard about Bjarni and how he didn't step foot on the new found land, which also breaks the Viking Law. Leif traced Bjarni's steps to get to the New World, and once he got there, he named it Vinland. He eventually created a colony, and was going to colonize other places, but a lot of his colony became sick, and many died, including his father. Leif Ericsson does not deserve credit because he followed someone else's steps of getting there, and his colony did not do good in the new land, not to mention the natives who have lived there for plenty of years before anyone else, including Leif Ericsson. In all, I think that the Native Americans deserve the most credit because they were living and exploring the New World long before any of the other explorers claimed that they descovered it. Although the other explorers told us a lot of things, but discovering the New World was not something they did. It's like being in the front of the line and a group of people budge in front of you, and claim that they were there first, it's unfair and a lie. So, next time you think that people like Christopher Columbus discovered the place now known as America, think again about the real people who did, the Native Americans (hence why we call them 'natives').